On invitation by the Berlin-based K.I.T. 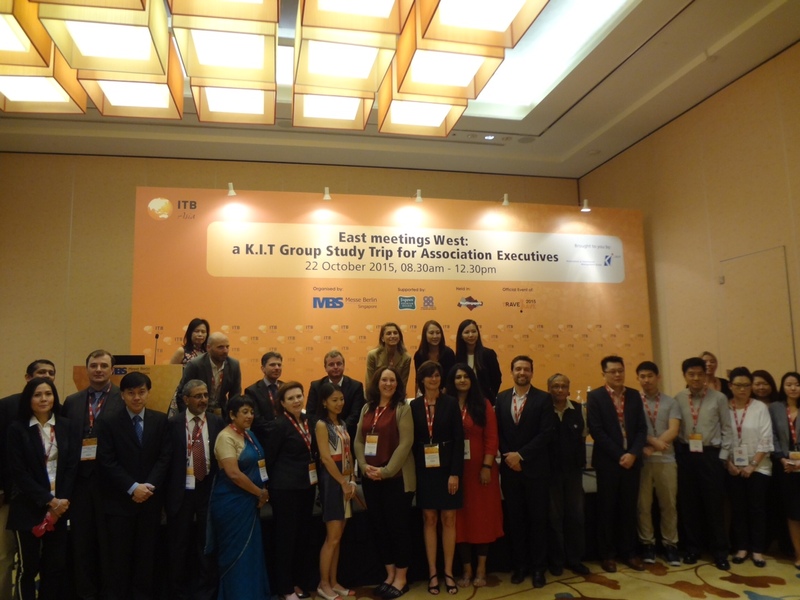 Group, one of the organizers of ITB Asia 2015, and on the request of the Washington D.C.-based American Society of Association Executives (ASAE) for representation in the event, PCAAE President & CEO, Mr. Octavio B. Peralta, made a presentation on the internalization and regionalization of associations, citing the experiences of ASAE, ADFIAP, WFDFI, PCAAE and APFAO, to about 40 participants of the educational session on “East Meetings West”. Mr. Peralta highlighted the work and advocacy of ASAE and the PCAAE particularly on building a sustainable association community through knowledge-sharing, capacity-building and collaborative partnerships. The session also brought to the fore the optimism in association events in the Asia-Pacific region and the two-way learning between the ‘East and the West’. ITB Asia www.itb-asia.com is the region’s leading trade show for the Asian travel market that puts together buyers and sellers in the marketplace. In attendance were about 9,000 delegates representing 880 buyers and 763 exhibitors from 73 countries around the world. 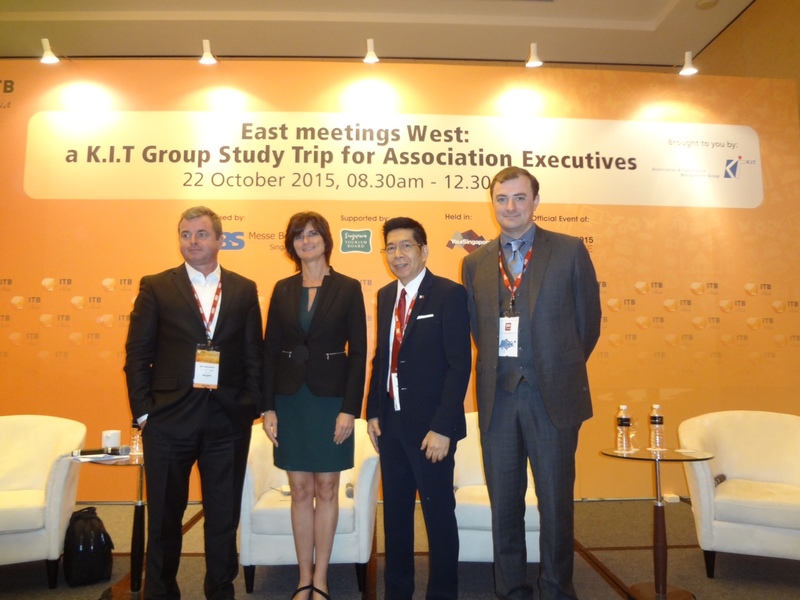 The event was held at the Marina Bay Sands Convention Center in Singapore from October 21 to 23, 2015.